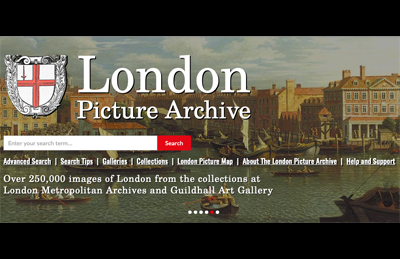 COLLAGE provides quick and easy access to large areas of the wonderful visual collections at London Metropolitan Archives and Guildhall Art Gallery. It invites visitors to explore the collections using a range of enquiry points. They can then view high quality images of the works on screen, read information about them and order colour prints and digital files. 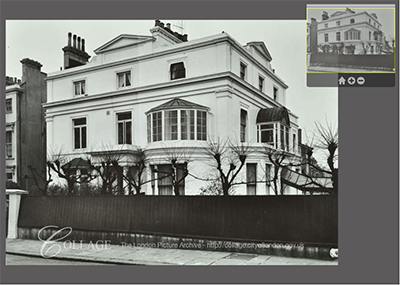 COLLAGE contains over 250,000 photographs, prints and drawings as well as over 1,000 maps from London Metropolitan Archives. It is a constantly growing collection, with new material being added every week. COLLAGE is visited by a huge array of casual users, researchers, academics, media outlets and creative industries. Its rich and diverse content spanning hundreds of years of London history make it an idea resource for anyone wanting to discover more about or represent London through the ages. COLLAGE has appeared on both the ITV and BBC news programmes, as well as in several national newspapers including a special feature in The Guardian. The service we receive from the iBase support team in maintaining and developing our image management system and website is effective and responsive. Their friendly and helpful approach to problem solving is very much appreciated.